Check out the 3 building blocks that Shortcut to Spanish uses to teach complete novices how to form full sentences in a matter of minutes. AWESOME program! See more from SHORTCUT TO SPANISH! On this page you will find the 100 most important Spanish words. 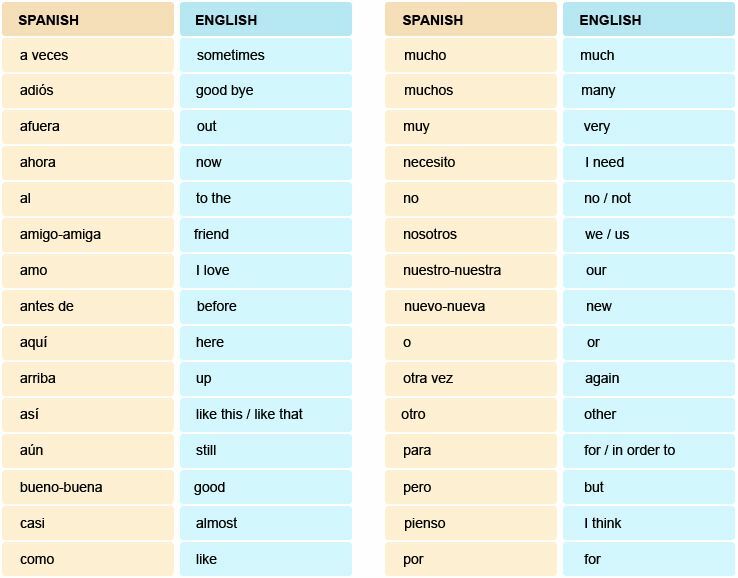 This is great way to start learning and getting the most from your Spanish vocabulary. Before I share the words with you, first a word of warning,learning words from a list can be dry. The above quote really sums up learning, especially when it comes to language. To take these Spanish words and use them in the real world to communicate you need to “digest” the Spanish words very well. 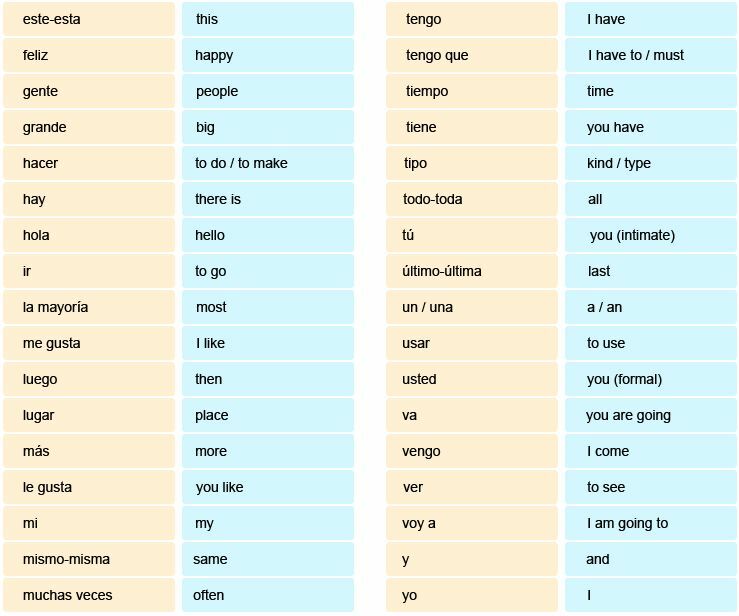 Step by step guide to really using Spanish. For just $39.95 you can get the Action Guide which guides you to use the 100 essential Spanish words. Each step follows smoothly from the last. You progress easily, understanding more Spanish each day. Plus, you can download 132 printable flashcards, including all of the 100 Essential Spanish Words. Learning and words is a breeze with mnemonics memory joggers to spark your memory. You also receive 31 audio lessons. They show you how to pronounce the 100 Essential Spanish Words properly and put it all together in flowing sentences. And don’t forget you are also guided to use 31 categories of Spanish words that are similar to English words giving you an instant Spanish vocabulary of 3013 words. Afortunadamente, there are just 9 principales diferencias entre Espanol y Ingles. This first part shows you how to burst through 5 of those differences, so you’ll be understood anywhere you use your Spanish. For More Lessons Like This, Please Check Out Shortcut To Spanish! Adjective Placement in Spanish: Before or After Nouns? Another Free Video Lesson from Spanish Site Reviews! Copyright © 2011 Spanish Site Reviews. All Rights Reserved. All rights reserved by Spanish Site Reviews.